LAST TIME IN BROCHURE – FALL HOME COLLECTION! Campaign 22 Brochure: velvet, a new fragrance FOR HER. Campaign 22 (C22) Brochure online beginning Tuesday 10/02/2018 until Monday 10/15/2018 midnight EST. Pages 148 – 149. Let autumn in and fill your home with the colors of the season. Jute bow detail. PVC/polyester. 20″ W x 19″ L x 4″ D. Some assembly required. Imported. Glass. Uses 3 AAA batteries (not included). 6 3/4″ diam. x 6 1/4″ H. Wipe clean. Imported. Glass. Approx. 6″ diam. x 8″ H. Hand wash. Imported. Notes of pomegranate, succulent fig, autumn leaves accord and warm woods. Comes with a wood lid. Glass/wood/wax. Approx. 9.8 oz. one-wick candle gives off 45 hours of burn time. Imported. Wood. Large: 11″ H x 9″ W x 4″ D; medium: 9″ H x 7 1/2″ W x 4″ D; small: 7″ H x 5 3/4″ W x 4″ D. Hanging hardware not included. Wipe clean. Imported. Glass. Each, approx. 2 1/2″ diam. x 3″ H. Imported. Glass/metal. 12″ diam. x 1 3/4″ H. Wipe clean. Imported. *For decorative use only. Keep out of reach of children. Campaign 22 Brochure: velvet, a new fragrance FOR HER. Campaign 22 (C22) Brochure online beginning Tuesday 10/02/2018 until Monday 10/15/2018 midnight EST. Pages 150 – 151. Celebrations start with a table set with the perfect flatware. 100% cotton. Each, 20″ W x 20″ L. Machine wash and dry. Imported. Metal. 2″ diam. x 1 1/4″ H. Hand wash. Imported. Ceramic. 10 1/2″ diam. Dishwasher and microwave safe. Imported. Ceramic. 8 1/2″ diam. x 1″ H. Dishwasher and microwave safe. Imported. Metal. 13″ L x 4″ W x 5″ H. Candles not included. Wipe clean. Imported. Dolomite. 7 1/4″ W x 5″ D x 4 1/2″ H. Holds up to 23 oz. Hand wash. Imported. Ceramic/stone. Salt shaker: 2 1/2″ diam. x 2 1/2″ H. Pepper shaker: 2 1/4″ diam. x 3″ H. Hand wash. Imported. Polyester. 6″ diam. x 5 3/4″ H. Wipe clean with a damp cloth. Imported. Campaign 22 Brochure: velvet, a new fragrance FOR HER. Campaign 22 (C22) Brochure online beginning Tuesday 10/02/2018 until Monday 10/15/2018 midnight EST. Pages 152 – 153. Add accents in shiny rose gold and keep your kitchen looking chic. Ceramic/stone. 4″ diam. x 6 1/2″ H. Hand wash. Imported. Metal. 5 1/2″ diam. x 7 1/2″ H. Hand wash. Imported. Metal. 4 1/2″ diam. x 4 3/4″ H. Hand wash. Imported. 100% cotton. Each, 16″ L x 25″ W. Machine wash and dry. Imported. Cups stack for easy storage. Ceramic/stone. Each, 6.5 oz. Hand wash only. Not for microwave use. Imported. Metal. Set of five nesting biscuit cutters. 1 3/4″ diam. (smallest); 3 1/4″ diam. (largest). Top rack dishwasher safe. Imported. Campaign 22 Brochure: velvet, a new fragrance FOR HER. Campaign 22 (C22) Brochure online beginning Tuesday 10/02/2018 until Monday 10/15/2018 midnight EST. Outlet C22: On the cover: Mia Shirt in Chambray. Button front with ruffle-trimmed placket. Faux pearl buttons. Cotton. Machine wash and dry. Imported. Center back length: 27 1/2″ on medium; 28 1/2″ on 1X. Brochure: $24.99 now $12.99, save $12.00. While Supplies Last. Campaign 22 ’18 Outlet Avon Flyer online beginning Tuesday 10/02/2018 until Monday 10/15/2018 midnight EST. Fall Jewelry Guide C21-22: FALL JEWELRY GUIDE. wear-now styles on sale. Campaign 21 – Campaign 22 ’18 Fall Jewelry Guide Avon Flyer is online beginning Tuesday 09/18/2018 until Monday 10/15/2018 midnight EST. Go Figure C23-24: 30+ BEAUTY DEALS. NEW & EXCLUSIVE Body Illusions — make the most of your curves! Campaign 23 – Campaign 24 ’18 Go Figure Avon Flyer online beginning Tuesday 10/16/2018 until Monday 11/12/2018 midnight EST. LAST CAMPAIGN TO ORDER – FALL FOR PARIS JEWELRY COLLECTION! This is the final campaign for the Fall for Paris Jewelry Collection too! This coordinating jewelry collection was designed to complement the Paris-inspired fashion meant for real women (like you!) to look really gorgeous and is available at special pricing. Campaign 22 Brochure: velvet, a new fragrance FOR HER. Campaign 22 (C22) Brochure online beginning Tuesday 10/02/2018 until Monday 10/15/2018 midnight EST. Pages 140 – 141. Shining baguettes set in silvertone. Stretch velvet choker, 13″ L with 4 1/2″ extender. Shining baguettes set in silvertone. One size fits most. Shining baguettes set in silvertone. Pierced hoops, 1″ diam. Shining baguettes set in silvertone. Pierced. Faux pearls and rhinestone accents set in gunmetal. 16 1/2″ L with 3 1/2″ extender. Faux pearls and rhinestone accents set in gunmetal. Pierced drops, 3 1/2″ L.
Faux pearls and rhinestone accents set in gunmetal. 7 1/2″ L with 1″ extender. Faux pearls and rhinestone accents set in gunmetal. 32″ L with 3 1/2″ extender. Tassel drop, 4 1/2″ L.
Campaign 22 Brochure: velvet, a new fragrance FOR HER. Campaign 22 (C22) Brochure online beginning Tuesday 10/02/2018 until Monday 10/15/2018 midnight EST. Pages 142 – 143. Multi-texture and goldtone accents and grey tassel details. Pierced drops, 3 1/2″ L.
Multi-texture and goldtone accents and grey tassel details. 30″ L with 3 1/2″ extender. Tassel drop, 3″ L.
Multi-texture and goldtone accents and grey tassel details. Pierced drops, 1 1/2 ” L.
Gorgeous glistening accents. Pierced studs, 3/4 ” L.
Gorgeous glistening accents. Gunmetal with rhinestone accents. Pierced drops, 2″ L.
Gorgeous glistening accents. 16″ L with 3 1/2″ extender. Available in: Star, Orbit, Sun, Moon. Gorgeous glistening accents. Functional locket pendant with magnetic closure. 28″ L with 3 1/2″ extender. Available in: Midnight Blue, Burgundy, Black. Campaign 22 Brochure: velvet, a new fragrance FOR HER. Campaign 22 (C22) Brochure online beginning Tuesday 10/02/2018 until Monday 10/15/2018 midnight EST. Pages 144 – 145. Go for chick shapes and enamel-like details in a sweeter-than-ever shade. Mod enamel-like designs set in goldtone. Pierced drops, 2″ L.
Mod enamel-like designs set in goldtone. 18″ L with 3 1/2″ extender. Mod enamel-like designs set in goldtone. Pierced drops, 2 1/4″ L.
Mod enamel-like designs set in goldtone. One size fits most. Stunning stones stay gleaming in any light with faceted details. Sparkling, faceted faux stones. Pierced drops, 2″ L.
Available in Grey (silvertone), Deep Red (goldtone). Sparkling, faceted faux stones. 18″ L with 3 1/2″ extender. Pendant drop, 2″ L.
Sparkling, faceted faux stones. Pierced studs, 1/2″ L.
Campaign 22 Brochure: velvet, a new fragrance FOR HER. Campaign 22 (C22) Brochure online beginning Tuesday 10/02/2018 until Monday 10/15/2018 midnight EST. Pages 146 – 147. Multiple strands of sparkling faceted beads. Necklace, 16 1/2″ L with 3 1/2″ extender. Pierced drops, 1 1/2″ L.
Available in: Maroon (goldtone) – 226-990, Gunmetal (silvertone) – 227-006. Multiple strands of sparkling faceted beads. Faux-croc leatherlike strap, 9″ L with 34mm diam. rose goldtone case. Multiple strands of sparkling faceted beads. Single strand with a stacked-style illusion. One size fits most. Available in: Maroon (goldtone) – 227-030, Gunmetal (silvertone) – 227-059. Multiple strands of sparkling faceted beads. Gunmetal mesh strap, 9 1/4″ L with 35mm diam. case. LAST CAMPAIGN TO ORDER – FALL FOR PARIS FASHION COLLECTION! This is the final campaign for the Fall for Paris Fashion Collection! Don’t miss out on the amazingly versatile pieces in this line. Perfect for cooler weather with classic easy style and mix and match pieces to give her seasonal wardrobe a great refresh! The neutral effects of rose, grey and black will blend beautifully with what you already have in your closet, and the dress up or dress down capability of each of these pieces is a real plus! Campaign 22 Brochure: velvet, a new fragrance FOR HER. Campaign 22 (C22) Brochure online beginning Tuesday 10/02/2018 until Monday 10/15/2018 midnight EST. Pages 118 – 119. Find out why our most fashionable Avon Representatives are falling for this season’s Paris-inspired fashion collection. Go for Bordeaux head to toe or try a few pieces in tweed — these looks are meant for real women (like you!) to look really gorgeous. — Inspired by the streets of Paris, this latest fashion collection from Avon is perfect for fall with a color line up of roses, greys, pinks and blacks. — The highly versatile pieces are designed to mix and match and will go great with pieces you already have in your wardrobe. — Favorite pieces from prior collections like the Briana Tee and the ballet flats are available in colors that coordinate with this collection. — These classic designs look great on everyone – just check out my fellow Representatives in the brochure wearing the pieces in their individual style. — Coordinating jewelry in this collection is available at special pricing. Elbow-length sleeve, textured crepe pullover dress with front knotted detail. Polyester/spandex. Machine wash and dry. Imported. Center back length: 39″ on medium; 41 1/2″ on 1X. Campaign 22 Brochure: velvet, a new fragrance FOR HER. Campaign 22 (C22) Brochure online beginning Tuesday 10/02/2018 until Monday 10/15/2018 midnight EST. Pages 120 – 121. High-collared, zip-front jacket in a ladylike, structured ponté fabric. Rayon/nylon/spandex. Machine wash and dry. Imported. Center back length: 24 1/2″ on medium; 26″ on 1X. Pull-on pencil skirt with elastic waistband and structured ponté fabric. Rayon/nylon/spandex. Machine wash and dry. Imported. Center back length: 22″ on medium; 24″ on 1X. Striped long-sleeve top with chiffon flutter hem. Button detail at back neck. Cotton/polyester. Machine wash and dry. Imported. Center back length: 29 1/2″ on medium; 31″ on 1X. Pull-on legging with a wide elastic waistband for tummy control. Structured, stretch ponté fabric. Rayon/nylon/spandex. Machine wash and dry. Imported. Inseam length: 28″ on medium; 27″ on 1X. Campaign 22 Brochure: velvet, a new fragrance FOR HER. Campaign 22 (C22) Brochure online beginning Tuesday 10/02/2018 until Monday 10/15/2018 midnight EST. Pages 122 – 123. Julie is wearing the Tweed Crossbody Bag sold on page 136. Sleeveless dress in a ladylike, structured ponté fabric. Rayon/nylon/spandex. Machine wash and dry. Imported. Center back length: 38 1/2″ on medium; 40 1/2″ on 1X. 3/4-length sleeve, stretch-crepe fabric printed dress with contrasting hem. Decorative buttons at shoulder. Polyester/spandex. Machine wash and dry. Imported. Center back length: 37″ on medium; 38″ on 1X. Long-sleeve pullover sweater with pearl-like detailing along sleeves. Cotton/rayon/nylon/spandex. Hand wash. Imported. Center back length: 24″ on medium; 26″ on 1X. Printed, accordion-pleated skirt with elastic waistband. Designed to fall at the knee. Polyester. Hand wash, hang dry. Imported. Center back length: 24 1/2″ on all sizes. Mistie is wearing the Autumn Romance Bag sold on page 136. Campaign 22 Brochure: velvet, a new fragrance FOR HER. Campaign 22 (C22) Brochure online beginning Tuesday 10/02/2018 until Monday 10/15/2018 midnight EST. Pages 124 – 125. Woven leopard-print coat with button front closure and side slit pockets. Cotton/spandex. Hand wash, dry flat. Imported. Center back length: 33″ on medium; 35″ on 1X. 3/4-sleeve, tweed and herringbone dress with flounce hem. Cotton/polyester. Machine wash and dry. Imported. Center back length: 39″ on all sizes. Faux-suede, pleated fit-and-flare skirt. Zip closure. Polyester/spandex. Hand wash, hang dry. Imported. Center back length: 25″ on all sizes. Aisha is wearing the Gianna Pearl Sweater sold on page 123. Campaign 22 Brochure: velvet, a new fragrance FOR HER. Campaign 22 (C22) Brochure online beginning Tuesday 10/02/2018 until Monday 10/15/2018 midnight EST. Pages 126 – 127. Chilly, but want to look chic? Layer on a light cardigan and keep your look buttoned-up. Fine-knit, 3/4-length sleeve sweater perfect for layering. Pearl-like button closure. Cotton/nylon/spandex. Hand wash, dry flat. Imported. Campaign 22 Brochure: velvet, a new fragrance FOR HER. Campaign 22 (C22) Brochure online beginning Tuesday 10/02/2018 until Monday 10/15/2018 midnight EST. Pages 128 – 129. Tweed bouclé jacket with 3/4-length sleeves and front pockets. Fully lined with Autumn Romance-print fabric. Polyester. Hand wash, dry flat. Imported. Center back length: 22″ on medium; 23″ on 1X. “Cafe Society” graphic tee. Cotton/polyester/spandex. Machine wash and dry. Imported. Center back length: 26″ on medium; 27″ on 1X. Campaign 22 Brochure: velvet, a new fragrance FOR HER. Campaign 22 (C22) Brochure online beginning Tuesday 10/02/2018 until Monday 10/15/2018 midnight EST. Pages 130 – 131. Ribbed, long-sleeve scoop-neck tee with button detail at cuff. 100% cotton. Machine wash and dry. Imported. Center back length: 25″ on medium; 26 1/2″ on 1X. Available in: Black, Geo Print, Pink, Leopard. Campaign 22 Brochure: velvet, a new fragrance FOR HER. Campaign 22 (C22) Brochure online beginning Tuesday 10/02/2018 until Monday 10/15/2018 midnight EST. Pages 132 – 133. Peasant-style blouse with front embroidery and tie detail. Long sleeves with elastic cuffs. Polyester. Machine wash and dry. Imported. Center back length: 26 1/2″ on medium; 28 1/2″ on 1X. Stretch-crepe fabric pullover dress with 3/4-length sleeves. Ruffle details on cuffs and front shoulder. Polyester/spandex. Machine wash and dry. Imported. Campaign 22 Brochure: velvet, a new fragrance FOR HER. Campaign 22 (C22) Brochure online beginning Tuesday 10/02/2018 until Monday 10/15/2018 midnight EST. Pages 134 – 135. Slip-on sneaker with rubber sole. Wipe clean. Imported. Half sizes, order one size up. Available in: Herringbone (fabric upper), Black (leatherlike upper), Wine (leatherlike upper). Goldtone charm and bow detail. Cushion Walk® heel pad. Imported. Campaign 22 Brochure: velvet, a new fragrance FOR HER. Campaign 22 (C22) Brochure online beginning Tuesday 10/02/2018 until Monday 10/15/2018 midnight EST. Pages 136 – 137. Crossbody bag with metal and chain accents. Side snaps for expandability. One inner slip pocket. Fully lined. 8″ L x 2 1/2″ W x 7″ H. Handle drop, 22″ L. Imported. Available in: Grey Felt, Pink Leather. Tweed crossbody style with pearl-like embellishments. Snap closure. One outer slip pocket; one inner zip pocket; one inner slip pocket. Fully lined. 10″ L x 2″ W x 6 1/2″ H. Handle drop, 23″ L. Imported. Faux-suede slide with pointed toe with heart decals. Pearl-like and faux-stone accents. Cushion Walk® heel pad. Imported. Leatherlike tall boot with buckle detail. Side zipper and elastic gore backing for an adjustable fit. Slight heel, 1″ H. Imported. Leather croc-textured everyday tote. One outer slip pocket. Inner middle zip compartment; two inner slip pockets, one inner zip pocket. Fully lined. 12 3/4″ L x 6″ W x 13″ H. Handle drop, 9 1/2″ L. Imported. Campaign 22 Brochure: velvet, a new fragrance FOR HER. Campaign 22 (C22) Brochure online beginning Tuesday 10/02/2018 until Monday 10/15/2018 midnight EST. Pages 138 – 139. Pull together your look with a sweet and stylish pair of flats. Patent leatherlike bootie with side zipper. Block heel, 2 1/2″ H. Imported. Patent leatherlike upper with Cushion Walk® heel pad. Block heel, 2 1/4″ H. Imported. Leatherlike pointy-toe flat with grommet and flower appliqué details. Cushion Walk® heel pad. Imported. If you bought Velvet fragrance, extend the sensual experience of Velvet Eau de Parfum to your special occasions or gatherings by wearing the gorgeous and luxurious Velvet Gala Dress or Off-the-Shoulder Blouse (machine washable!) You can accessorize the look with the Velvet Bow Slides on your feet and the coordinating velvet choker with garnet-like charm and matching ring. Perfectly timed for the many special occasions in the holiday season for this velvety fashion and accessories for yourself! Campaign 22 Brochure: velvet, a new fragrance FOR HER. Campaign 22 (C22) Brochure online beginning Tuesday 10/02/2018 until Monday 10/15/2018 midnight EST. Pages 6 – 7. Luxurious velvet high-low midi dress with cold-shoulder detail. Ruffle wrap neckline and ruffle hem. Polyester/spandex. Machine wash, line dry. Imported. Center back length: 58″ on medium; 59″ on 1X. Off-the-shoulder velvet top with elastic band around upper sleeves for a secure style. Polyester/spandex. Machine wash, line dry. Imported. Silvertone with garnet-like center stone. Stretch velvet choker, 13″ L with 3 1/2″ extender. Brass and silver-plated ring with 3-ct. center CZ. Crushed-velvet kitten-heel slide with pointy toe and oversize bow detail. Heel, 2 1/4″ H. Cushion Walk® heel pad. Man-made materials. Imported. Avon’s newest fragrance is boldly sensual, rich, warm and decadent. Crafted from exotic ingredients like fig and pomegranate, rose and velvet patchouli, this elegant and long-lasting eau de parfum will be a very special addition to your fragrance wardrobe. The accompanying body lotion and shower gel will give you the option of layering for a deeper, longer-lasting fragrance. Campaign 22 Brochure: velvet, a new fragrance FOR HER. Campaign 22 (C22) Brochure online beginning Tuesday 10/02/2018 until Monday 10/15/2018 midnight EST. Pages 2 – 3. Indulge in the bold sensuality of Velvet. Lush, warm and decadent. Let your feelings unfold. Campaign 22 Brochure: velvet, a new fragrance FOR HER. Campaign 22 (C22) Brochure online beginning Tuesday 10/02/2018 until Monday 10/15/2018 midnight EST. Pages 4 – 5.
velvet…sophisticated yet sensuous, discover a luxurious blend of luscious fig, sumptuous rose and warm patchouli. 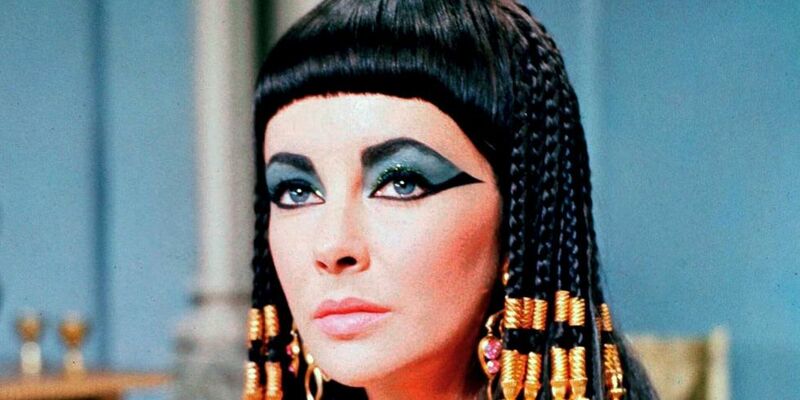 Eyeliner was first used in Ancient Egypt and Mesopotamia as a dark black line around the eyes. Egyptians wore cosmetics not only for aesthetics but to protect the skin from the desert sun. Research has also speculated that eyeliner was worn to protect the wearer from the evil eye. The characteristic of having heavily lined eyes has been frequently depicted in Egyptian art. Women (and men) used thick and heavy eyeliner around their entire eye to enhance their looks. In the late twentieth and early twenty-first century, heavy eyeliner use has been associated with Gothic fashion and Punk fashion. Eyeliner is commonly used as a daily makeup routine to define the eye or create the look of a wider or smaller eye. Its primary purpose is to make the lashes look lush, but it also draws attention to the eye and can enhance or even change the eye’s shape. “8 Things You Didn’t Know About Eyeliner“, Good Housekeeping, a Hearst Communications. Campaign 22 Brochure: velvet, a new fragrance FOR HER. Campaign 22 (C22) Brochure online beginning Tuesday 10/02/2018 until Monday 10/15/2018 midnight EST. Pages 56 – 57. Avon True Color Glimmersticks for Eyes, Brows, and Lips. Retractable. .01 oz. net wt. Available in Eye Liner, Diamonds, Waterproof Eye Liner, Brow Definer, and Lip Liner. reg. $7. An intensified color that lasts for hours. Currently Shopping Campaign 22 Brochure: velvet, a new fragrance FOR HER. Fall Jewelry Guide C21-22: FALL JEWELRY GUIDE. wear-now styles on sale. Campaign 21 – 22 ’18 Fall Jewelry Guide Avon Flyer is online beginning Tuesday 09/18/2018 until Monday 10/15/2018 midnight EST.